Born and raised in Darien, Connecticut, I Graduated from J.M. Wright Tech. high school. From there I attended The American Academy of Dramatic Arts. That enabled me to go out and see the world! I performed in 48 of our Stated and over 11 countries, before coming to Florida in 1989 for what was supposed to be a 3 week vacation. from some wonderful people in our industry. After years of hard work and passing the Brokers course we had the opportunity to open The Pier Group. We opened our doors as The Pier Group in 1999 and have established ourselves as the number one real-estate office in town ever since. 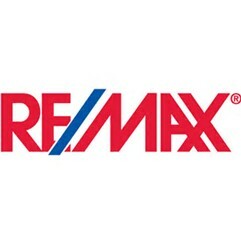 We joined the RE/MAX organization in February of 2013 and are going strong! Please feel free to stop in, call or send us an email. Our clients know we know real estate. Attending Real Estate School in early 1978, Jerry listed his first home in Wellington, Florida the exact day his license was activated. Within 72 days he had his first closing. By December 1979 interest rates exceeded 17% and he experienced his first slide in the market; but remained the number one agent in the office. By 1980, Jerry realized that he wanted his own real estate company. Opening doors in 1981 was exciting and prosperous even with a recession in high gear. Knowing the market has ups and downs, he learned to adjust to the conditions. In 2001, Jerry joined the Pier Group and between 2003 - 2005 The Lucerne Condominium in downtown Lake Worth was being built and as a result he was involved in over 65% of the sales. Conditions for buying, selling or managing properties are “RUFF” today, so choose someone with the knowledge and track record you deserve. Jerry is here when you need him. Julie became a Licensed Real Estate Agent in 2001. She has been exposed to the real estate business since 1974 thru the eyes of Ruth Ann her mother. Being a "Floridian" gives Julie first hand knowledge and expertise of the territory. She also has experience in the construction industry, financing, and the environmental field which aids in her ability to help point her clients in the right direction. She obtained her Graduate of the Realtor Institute (GRI) designation and her Certified Distressed Property Expert (CDPE) designation. Julie helped spearhead a neighborhood organization and regularly attends Palm Beach County meetings for community revitalization. She has addressed the board of county commissioners and zoning board on multiple occasions to push for neighborhood improvements and has been sponsored by the Office of Community Revitalization of Palm Beach County to attend the Florida’s Neighborhood Conference representing her neighborhood. Julie has participated in Habitat for Humanity’s projects and feels everyone deserves the opportunity to own a home. You can rest assured you can depend on her! Born in Brooklyn, NY to the children of Italian immigrants, his parents wanted to get out of the big city so when he was 10 moved to Orlando, FL. Steve lived in Orlando for over 30 years and watched it grow from a small town to a big city in its own right. In his early 20's, at his father's urging, he applied and was hired by Ma Bell (AT&T). His father kept saying "Get a job with benefits!" because every parent wants their children to be well taken care of. Steve reluctantly obliged and ended up manufacturing computer chips, which turned out to be a pretty cool job. Then the dreaded words "downsizing" and "spin-off" echoed in the hallways and before he knew it, they closed the factory where he had worked for 21 years. Luckily they offered incentives to take classes and train for new jobs. Steve had become interested in real estate after buying/renovating his first home. So he decided to further his interest and take Real Estate classes and was licensed shortly thereafter. Steve has since relocated to Lake Worth and begun his career with The Pier Group. He fell in love with this area as soon as he arrived. The miles of waterfront, the historic downtown area and the incredible diversity of its residents had captivated him. Steve now looks forward to helping others discover Lake Worth's irresistible charm. Mike grew up in Essex County, New Jersey and studied history at James Madison University in Virginia. Mike became involved with Bike and Build, a non-profit dedicated to providing affordable housing for all Americans. From there Mike worked for an historic preservation firm in Charleston, South Carolina, where he renovated and repaired historic homes throughout the city and surrounding areas. Mike’s passion for history led him into the teaching profession. He earned a Master’s in Teaching from The Citadel and spent six years as a public school teacher. While teaching in New Orleans, Mike and his wife bought and renovated an historic home in the city. Mike took part in every aspect of the renovation and did most of the work himself. The process of transforming this home was Mike’s segue into real estate. After years teaching Mike became a Realtor in Louisiana and earned the Historic Homes Specialist designation by the Preservation Resource Center of New Orleans. With the birth of their first child, Mike and his wife decided to relocate close to family. Mike currently lives in Lake Worth where he is in the process of renovating another historic home. As a member of the Pier Group at RE/MAX, Mike’s business focuses on relocating sellers, renovation and restoration projects, and helping first time home buyers make an informed financial decision.